Cyber security is always a major concern. Sure, employees of large organizations have more valuable information than the average consumer, but fraudsters are finding more clever ways to get into your email account which they can use to acquire personal information as well as send phishing emails to gather even more valuable information such as your bank accounts along with their corresponding passwords. In fact, businesses in the US are losing almost half a billion dollars a year from phishing scams and in 2017 consumers in Great Britton lost almost $170 billion dollars in similar fashion. So, what can be done to protect your money and information? There are the most obvious protective measures like not having a password related to you, birthday, your kids names or pet names. These are all things that can be guessed and would require little hacking if the fraudster knows just basic information about you, but many experts agree the bare minimum is having multi factor identification. The most basic example of this is having your email provider text you a code after submitting your password. If a fraudster was able to obtain your password, they would still be locked out as they would not have the code. Of course, text messages can be intercepted so users can take it a step further by requiring a physical USB security key to log in. 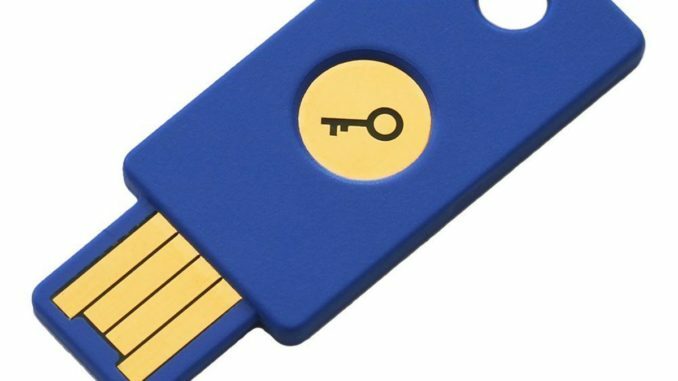 There are many companies that sell these keys, but Google is now releasing their keys that have been available only internally for the past year for $50 after claiming its employees have had zero phishing attacks since using the keys. Yes, there is money in it for Google but their main drive appears to be their users lack of adopting security measures, with only 10 percent of Gmail accounts adopting for a second identification when logging on. The reason many do not opt for it is obvious, it can be annoying to wait for a text every time you wish to check your emails and carrying a physical USB key might be an inconvenience, but once you are the victim of such an attack you may think carrying around a key is a small price to pay, much smaller then the amount you already lost.